Contrary to popular belief, this was not the first werewolf movie. It wasn’t even Universal’s best, but it was a huge improvement over Werewolf of London. Written by Curt Siodmak, a German Jew who had fled Nazi Germany, the film is infused with the themes of alienation and the monster within us all that have become staples of the genre ever since. This movie is almost single-handedly responsible for creating much of the werewolf “lore” that later films would slavishly follow regardless of the fact that it appears in none of the traditional werewolf folklore. Lon Chaney Jr.’s heart-felt portrayal of Larry Talbot is still a treat to watch, especially in contrast to the slightly self-parodying aspect the character took on in later installments of the story. All the acting in the film is top-notch, as is the atmosphere and dialogue. Still a classic! 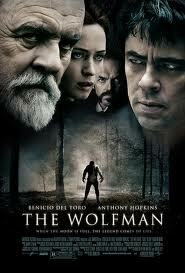 This is probably the most folklore-based werewolf movie out there. Oliver Reed stars as the unfortunate son of a serving girl raped by a mad prisoner and thereby cursed from birth to become a werewolf. Hammer’s contribution to the werewolf genre is beautifully photographed and well-acted, if a bit slow in the pacing department. 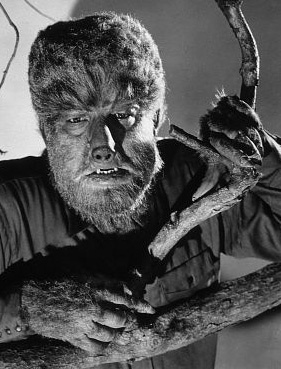 In addition to using one of the less-used werewolf mythologies, this film also distinguished itself by giving the werewolf a design that owed nothing to Jack Pierce’s iconic Wolf Man. I couldn’t possibly leave this masterpiece out of such a list! Written and directed by John Landis, this ground-breaking blend of humor and horror also boasts one of the best transformation sequences in cinema history. I can’t imagine a werewolf fan who hasn’t seen this film, so I’m preaching to the choir here. This also gets my vote for best use of music in any werewolf film ever. If you haven’t seen it, then shame on you! Go find a copy and watch it! Forget the so-called “sequels”, the original is the way to go! Another classic from the early 80s, released very close to American Werewolf in London, this film featured a very sharp, witty script by John Sayles that paid homage to the classic werewolf films of Universal and Hammer. Note that all the character names are names of werewolf film directors: Terry Fischer, Erle C. Kenton, George Wagner, etc. The film also holds the distinction of introducing a true “wolf man” that looks like a blend of wolf and man, even if the FX makeup and transformation now look a bit dated. The storyline is fantastic and, another first, these werewolves don’t feel “cursed” and have the ability to transform day or night! A great cast of horror movie favorites and an unforgettable ending make this a classic. werewolf movies, this one really shows the effects of the creature’s attacks on the small town community where King is always at his best. This is probably my favorite Gary Busey performance, as alcoholic Uncle Red, and a great early role for Corey Haim. Want to see a group of special forces soldiers take on a pack of werewolves? Well, this wonderfully effective British film gets full use out of its limited buget and plays out a concept that many movies have attempted before, but never pulled off. Tense and realistic, Dog Soldiers successfully mixes action with horror and suspense. More than a standard elimination movie, the characters are a fun mix and portrayed well by an able cast headed by Kevin McKidd and Sean Pertwee. Often over-looked, this one is worth checking out if you haven’t seen it. While the first two entries in the Underworld series had their share of werewolf involvement, this is the one that really focuses on the Lycans. The story of Lucien (Michael Sheen) and his Romeo/Juliet love story with a vampire princess was mentioned in the first movie, but here it receives its full treatment. Aside from the love story, the beautiful historical setting and Spartacus-style slave rebellion aspects helped elevate this entry above the usual action fodder. Of all the series, I also felt that the Lycans had their best look and movement in this film, wolf-like, hairy, and able to run and jump with the fluid grace that a werewolf should possess. Having taken a page from previous films like The Howling and merged it with proper usage of CGI transformation, I feel like these movies have constructed a credible werewolf model that works well (unlike the CG-fest of something like Van Helsing) and sets a good standard for the future. Personally, I prefer when the werewolf can have a story, a personality, and intelligence rather than just being a rampant killing machine. This remake of the classic that started it all received very mixed reviews and remains a love/hate film among genre fans, but I happen to love it. To me, this was everything you could ask for in a remake of something like The Wolf Man. It would have been ridiculous to do a faithful, scene for scene remake because the original features a lot of oddities that would be impossible to overlook in the modern day. Pushing the setting back to Victorian England was a terrific choice, lending atmosphere and a bit more credence to the tale and the exploration of the psychological aspects of Talbot’s character fits perfectly with the intention and style of the original. The film pays homage to both the original as well as Curse of the Werewolf and the action is fierce and furious. The cast is almost unbeatable, with Anthony Hopkins putting a very wry spin on the Claude Raines role. Well, that’s my list. Agree? Disagree? Did I miss one? Sound off in the comments! Brian McKinley has written four screenplays, a stage play which won a state-wide contest and was produced by a NJ community theater, and two short stories that have appeared in Reflection’s Edge and Challenging Destiny magazines. He is a member of the Horror Writers Association and his first novel, Ancient Blood, was published by Midnight Hour Publishing. Brian lives in New Jersey and is working on his next novel. Who Wants a 2014 Werewolf Horror Calendar? What Are Your Thoughts on Werewolf Romance?